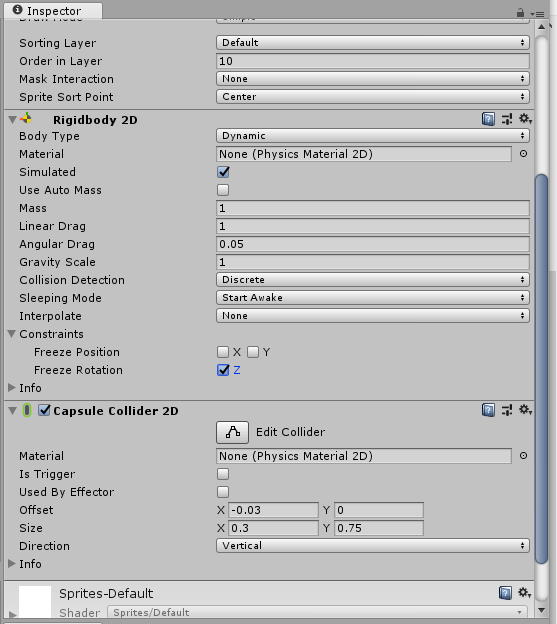 I'm following a tutorial online, and I've gotten to the point where the objects are supposed to collide, but the rigidbody does not interact with the objects that have colliders and just falls through the floor objects. I don't have anything set as a trigger as many other solutions point as a possible problem. I'm not 100% sure how I fixed it, but I rebuilt the scene from scratch without messing with the Z axis much if at all and it seems to work as expected now.